RTÉ football show Soccer Republic tonight paid tribute to the late Liam Miller. Earlier this month, at just 36, the former Republic of Ireland midfielder died after a battle with cancer. 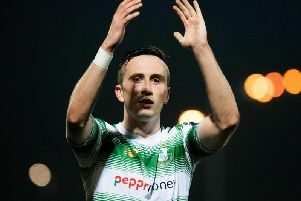 Miller, who played for Celtic, Manchester United, Leeds and Sunderland and Cork City in the League of Ireland. He made 21 appearances for his country between 2004 and 2009, scoring one goal.